Busy people don’t have time to read every word of every bike test—although, as the people who write them, we wish they would. However, we understand. So, here is the shortest 2017 450 motocross bike shootout known to man. It is clear, concise and accurate. If you want more detailed information, there is a link at the bottom of each bike that will take you to a full-blown test of that machine. Stay tuned for our 60-second transmission rebuild! There is only one bike in this shootout that has the most horsepower, lightest weight, strongest clutch, grippiest brakes, spotless electric starting, broadest powerband, flawless shifting and excellent suspension (front and rear). That is why the 2017 KTM 450SXF wins the “MXA 450 Shootout.” Someday, the Japanese will build a bike with these accoutrements. MINUSES: It’s pricey. 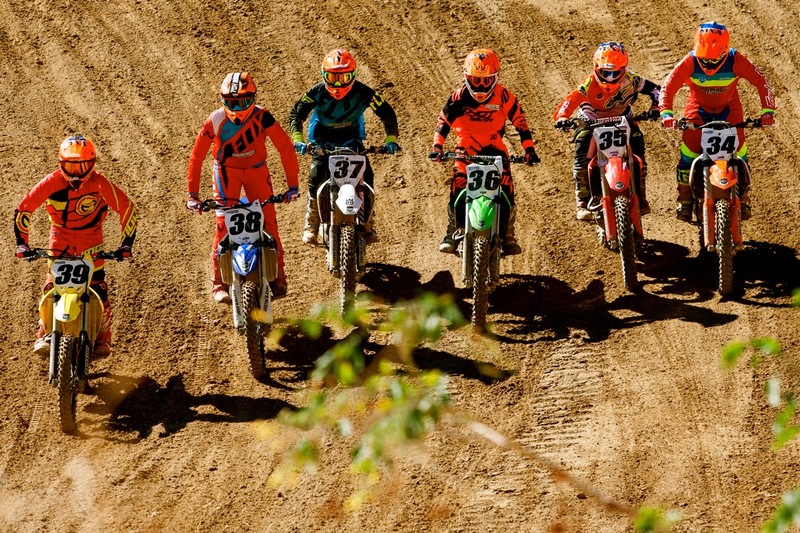 Have you ever seen a shootout where the KTM and Husqvarna finish several places apart? If you have, go ahead and laugh. These two bikes are clones, peas in a pod, kissin’ cousins, doppelgangers. If the KTM wins, then the Husky must ride its coattails. What the KTM does well, the almost-identical Husky does well. It’s because of the “almost” that the Husky gets second place. MINUSES: The plastic subframe adds weight and inhibits throttle response. We used to love the KX450F’s powerband and think that the rest of the bike was mediocre. Now we think that the rest of the bike is brilliant and the powerband is mediocre. If Kawasaki had put 2012’s powerband in this year’s chassis, we would have a new winner. This bike needs a Vulcan mind meld to get all the goodness in the same place at the same time. MINUSES: Very linear powerband that is the antithesis of a Kawasaki engine. If you’re a tried-and-true Honda guy, then the 2017 CRF450 is your personal shootout winner. It is, without a doubt, the best Honda since the fabled, shootout-winning 2008 CRF450. The 2017 CRF450 feels powerful, but has issues. It feels light, but it’s 11 pounds over the mark. It feels plush, but the suspension is mismatched. It feels torquey, but it is ragged on the bottom. It’s a mystery ship. MINUSES: It’s one year away from being ready for prime time. The second year will be better. With a blazing-fast engine, awesome suspension and bulletproof reputation, you’d think the 2017 Yamaha YZ450F would place higher than fifth, but you’d be wrong. This bike weighs 16 pounds more than a KTM 450SXF, turns like it has a hinge in the front end and feels awkward unless it’s going in a straight line. Creative engineering, but virtually no charm. MINUSES: Big, bulky, wide and tall. An acquired taste at best. This is the perfect 450cc motocross bike for tight tracks, smooth ground, Supercross layouts and lots of jumps, but very few bumps. We adore the usable power, but it needs more versatility, stronger brakes, a more reliable clutch, less mass and forks that actually move. It is true that nothing turns like a Suzuki RM-Z450‚ but nothing shakes like one, either. MINUSES: Suzuki has been phoning in the RM-Z450 longer than most people have been racing.